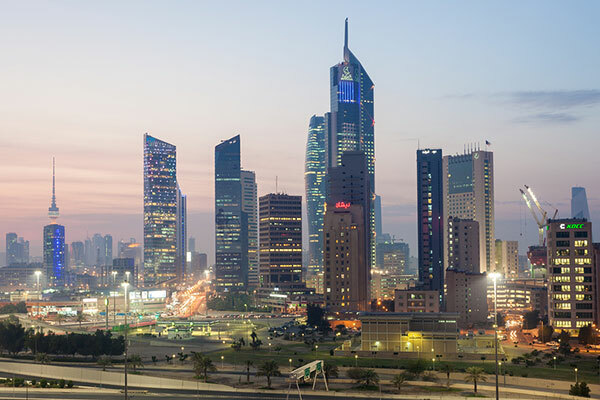 Kuwait’s non-oil growth is projected to increase gradually to about 4 per cent driven by accelerated project implementation under the 5-year development plan and improved confidence, said the International Monetary Fund (IMF). Hydrocarbon output is forecast to increase by 4.5 per cent in 2018, as the Opec+ deal expires (mission’s baseline assumption) and to expand gradually afterwards in line with investment plans in the sector. Inflation is expected to rise to 2.5 next year and to peak at 3.75 per cent in 2019, due to the introduction of the new taxes, before stabilizing below 3 per cent. The gradual pickup in oil production and prices will keep the current account broadly balanced over the forecast period. The overall fiscal balance is projected to remain nearly balanced. Notwithstanding the recent rise in oil prices, the mission’s baseline scenario assumes oil prices at around $49 per barrel in 2017-19, increasing to about $52 per barrel over the medium-term. It also accounts for the introduction of a value-added tax (VAT) and excises on tobacco and sugary drinks, some increases in the price of government services, and full compliance with the recently announced three-year expenditure ceilings. Gross financing needs will, however, remain large. After transfers to the FGF and excluding investment income, a fiscal deficit of about 15 per cent of GDP annually will generate cumulative financing needs of some US$ 100 billion over 5 years. The financing needs will continue to be met through a limited amount of domestic borrowing, external borrowing, and drawdown of GRF assets. While this would bring readily available GRF buffers down under the baseline, total KIA assets would continue to increase in nominal terms. These developments will be broadly favourable for financial stability and credit growth, although there are downside risks to asset quality. Nonetheless, loss absorption buffers are high and banking sector liquidity is ample. Lower oil prices over the medium-term could generate higher deficits and financing needs, making the government susceptible to shifts in market sentiment. Should investors’ appetite for GCC international sovereign bonds decline in this environment, the government could face a trade-off between issuing more domestic debt, at the risk of crowding out private sector credit, or allowing financial buffers to run lower. Nonetheless, if sustained, the recent rebound in oil prices may present upside risks, although these might be offset by lower oil output than presently assumed if the Opec+ agreement is extended. Heightened security risks in the region and a volatile geopolitical environment could also affect confidence, investment and growth. Tighter global financial conditions, against the backdrop of U.S. monetary policy normalization, could raise funding costs and risks for both the sovereign and banks. Domestically, the main risks include possible delays in project and reform implementation, which could entail slower growth and larger fiscal deficits. While fiscal adjustment may dampen non-oil growth prospects in the short-term, a rebalancing of government outlays towards growth-enhancing investment, more effective government expenditure, and related confidence gains would bring non-oil growth back to the expected 4 per cent by 2022.